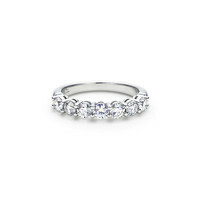 Tiffany & Co. - Shared-setting band ring with diamonds in platinum, 3.5mm wide. Tiffany & Co. - Tiffany solitaire diamond earrings in platinum. 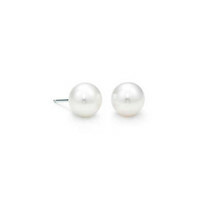 Tiffany & Co. - Tiffany South Sea Noble pendant in platinum with a cultured pearl and a diamond. 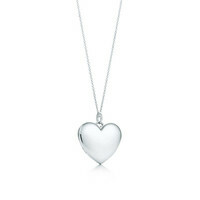 Tiffany & Co. - Heart locket in sterling silver on a chain.